Our team is very happy to announce the release of our new online service. 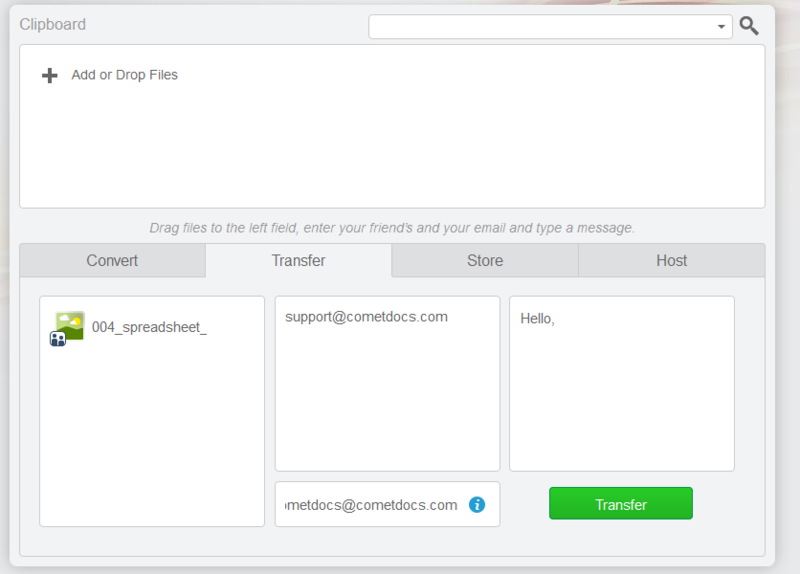 As you already know, Cometdocs has been one of the leading online file conversion services for the last several years, attracting millions of users. After taking years of feedback from our loyal users to heart and working to turn these ideas into a reality, we believe that we have taken our service to brand new heights with this new format. When you upload a document to the new Cometdocs, you have an option of four different actions that you can perform with it, whether you are registered as a Cometdocs user or not. Users can now transfer large files to other users. Unregistered users can send a daily total of 100MB worth of files per IP and their transfer URLs are valid for a period of 24 hours. Once unregistered users send files, however, they cannot remove them or make them unavailable for sharing. Registered users can send 100MB daily as well, but their transfer URLs are valid for three days. Additionally, registered users who want their transfer URLs to be valid indefinitely can store their documents with Cometdocs before transferring them. In such a case, the URLs will be valid until the file is made private or deleted. The registered user transferring his or her files has complete control over the privacy setting of the documents as well and unlike unregistered users, has the option to delete the files at any time. 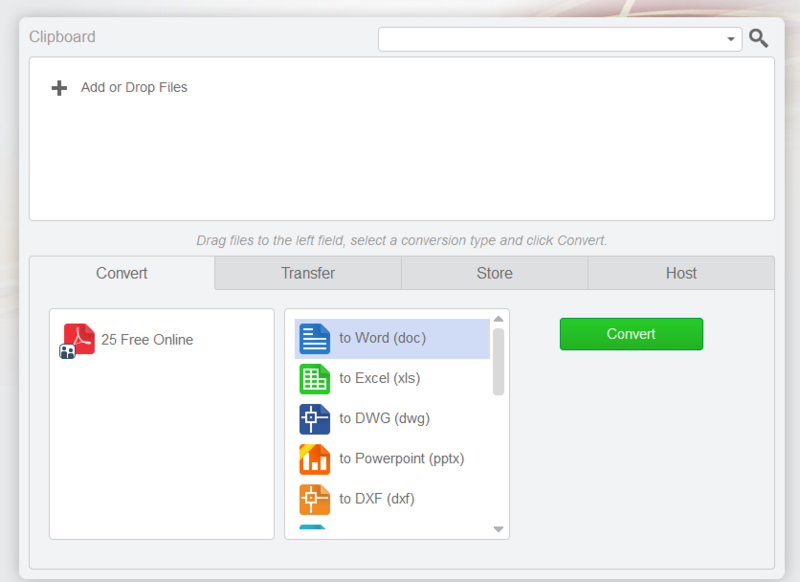 Registered users now have the option to store files online using Cometdocs. Even though Cometdocs is a service specialized for document use, any file type other than .exe format files can be stored at Cometdocs as well. Registered users can store 1GB worth of files for free. Registered users are also able to change file metadata, store multiple versions of the same document, share, convert, transfer the stored files and organize them into folders. This is one facet of the new Cometdocs that unregistered users cannot access. Both registered and unregistered users can share files via Cometdocs. Unregistered users get a sharing link for their uploaded file which will be valid for a period of 24 hours. Registered users, however, can share their files indefinitely, since their files are part of their storage quota. Registered users have complete control over their sharing privacy options in this case as well. There are also a great number of options when choosing with whom you want to share your files. It is possible to share files only with other Cometdocs users. You also have the option of sharing your files publicly on the web or only to specific people by providing them with a URL to download the file. Cometdocs also has a public directory of shared files that allows users to browse through public documents that have been uploaded and made public by various Cometdocs users. Continuing with our old tradition, Cometdocs still offers high quality document conversion with all vital aspects of the original document remaining preserved in the newly converted document. A full list of available conversions can be found here. As you have probably noticed, many Cometdocs features can be used both by those who are registered and unregistered users who do not have a Cometdocs account. Cometdocs can be used anonymously without registering an account, but there are certain limits for these unregistered users. For example, unregistered users can convert only three documents weekly and all of their sharing links are available for only 24 hours at a time. Also, they do not have as many options when it comes to controlling the visibility and privacy of their documents. For example, if you upload a document to share as an unregistered user, you cannot change your mind and delete that file. A registered Cometdocs user has more control over these types of options. If you already had an account with the old Cometdocs service, you can migrate all of your files to the new Cometdocs. However, since there is 1GB of storage available, users who have more than that on their old Cometdocs accounts will have to delete some of their files in order to meet this limit. The new Cometdocs will also offer premium services that provide users with numerous benefits. For example, a premium user can make an unlimited number of conversions and has the option of performing OCR conversions as well. Data storage and link visibility limits are also increased. Premium users can also send larger files to more people and their sharing URLs are valid for significantly longer amounts of time. 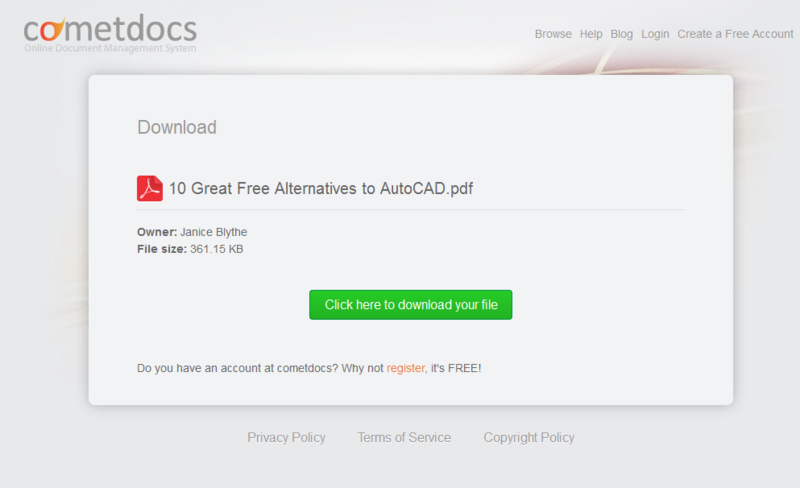 Another bonus is that premium users have the ability to preview their PDF files within the new Cometdocs. Our entire team at Cometdocs is very proud of the changes that we have made. We are incredibly excited about our new service and what we can now offer to our users old and new. We invite you to come and try out the new Cometdocs, and we hope that it will one day become your favorite and most trusted free online document management service.